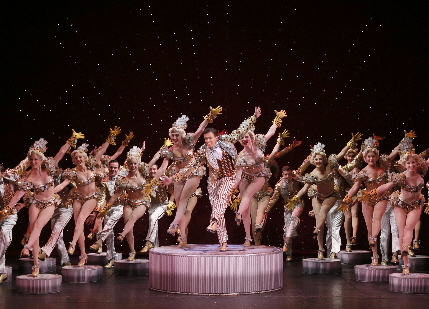 From the sequin-bright sparkle to the propulsive power of the 20th Century Limited, the new national tour of 42nd Street at the Kravis on Broadway series is a polished, energizing and thoroughly winning edition of the venerable warhorse. When the cast of 38 reaches that last verse and chorus of “Lullaby of Broadway” at the railway station and when a half-hour later in the title number a stage full of tappers hammer a rising staircase a capella for a full minute of precision percussion, it’s pure musical theater hallelujah. But its main virtue emanating from the cast and the creative team is recreating that tone of the 1980 original – affectionate lampooning mixed with a genuine love of musical theater. Once again, this fable of a Depression-Era Broadway that probably never existed except in the movies intentionally checks off every trope and meme in the canon with both bemusement and veneration. Set in 1933, the fresh off the bus from Allentown chorine Peggy Sawyer lucks into the company of new Broadway show in rehearsal, helmed by the imperious handsome impressario Julian Marsh who is down on his luck. Marsh is struggling with his star, the aging diva Dorothy Brock, who is as strong willed and tempestuous as Marsh. The show is populated with the usual suspects: Billy Lawlor, the tenor with libidinous designs; Maggie and Bert, the writers who triple as the show’s comedy team and producers; and a trio of friendly, experienced chorus girls. If you have to ask what happens next, you’ve been living in Timbuctoo. But you can be assured that the characters deliver an unflagging cheeriness melded with pizzazz, all played out against the oft-referred to economic disaster just outside the theater. The original 1980 show revolves around the period songbook of the productive Hollywood film team of composer Harry Warren and lyricist Al Dubin whose output here includes “You’re Getting To Be A Habit With Me,” “I Only Have Eyes For You,” “Shuffle Off To Buffalo,” “We’re in the Money” and the aforementioned two blockbusters. The tunes they wrote aimed to ease the crushing woes of an audience mired in the Great Depression. The original hit was directed and choreographed by Gower Champion who died a few hours before opening night. His associate Randy Skinner and the original co-librettist Mark Bramble (with the late Michael Stewart) directed a successful revival in 2001 incorporating much of Champion’s work. They then adapted it for a national tour in 2002. The same two men are helming this new edition which kicked off in September, retaining aspects of the 1980 and 2001 versions. But despite the carried over elements and the 35-year-old score based on tunes written 35 years before that, this production somehow has a freshness and energy that will win over anyone willing to go along for the ride. Bramble and Skinner keep this 2 ½ hour show moving at a steady driving pace with dialogue delivered with as much machine-gun speed and topspin as the tap dancing. Perhaps because it’s unashamedly based on well-known tropes, it doesn’t bother the audience that the show doesn’t pause much for dramatic transitions. Furthermore, when you see the majority of the cast spread from one edge of the false proscenium to the other, prancing and pounding the stage in true unison, it illustrates what the American Musical Theater can do that no other art form can equal. After five months on the road, the talented cast has the material down to a effortlessly-running watchpiece, but no one is coasting. Caitlin Ehlinger projects that requisite dewy-eyed gollyness. But her terpsichorean skills, especially as a tap dancer, are jaw-dropping even as she makes it all seem as smooth as a spiked milkshake. The delighted grin of the 19-year-old Ehlinger in her first road show was visible back in Row S.
With a strong baritone and a physical agility when needed, Matthew J. Taylor exudes Marsh’s amalgam of confidence, anxiety, genius, power and carefully hidden vulnerability. His Marsh owes a faint resemblance to the pre-Citizen Kane Orson Welles of the Mercury Theatre days. At the end of the show proper – before the curtain call – Taylor/Marsh stands alone on the stage with the ghost light and inhales the oxygen of the empty stage like a lover inhaling the scent of his lover. He speaks for all of us. 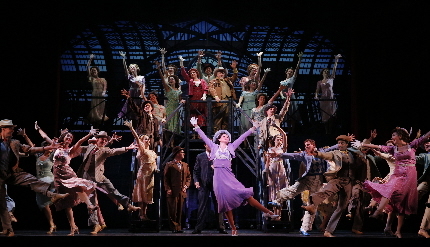 42nd Street through Jan. 10 at the Kravis Center for the Performing Arts, 701 Okeechobee Boulevard, West Palm Beach. Running time: 2 hours 20 minutes including one intermission. 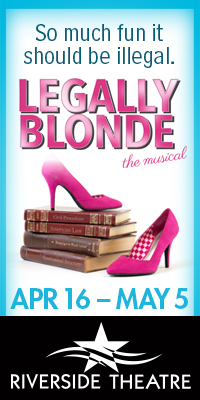 Performances are 8 p.m. Wednesday-Saturday; 2 p.m. Saturday and Sunday. Tickets are $32– $72. For more information, call (561) 832-7469 or visit kravis.org. This entry was posted in Reviews and tagged 42nd Street, Al Dubin, Caitlin Ehlinger, Gower Champion, Harry Warren, Kravis on Broadway, Mark Bramble, Matthew J. Taylor, Randy Skinner. Bookmark the permalink. Simply fabulous show! 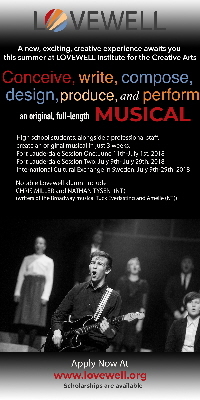 Great choreography, terrific music and a talented cast!